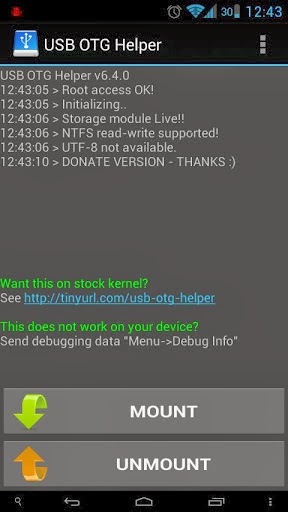 Overview: A no-pain solution to use USB mass storage on your Android device! IMPORTANT - ROOTED devices ONLY!! • Notification when drives mounted! I will not be held responsible for any damage to your device. Do not use for a long time, u may risk burning the device chip/motherboard due to the voltage supply in host mode. If still something does not work, mail me. I cannot reply to feedback! Donate Version Unlocked, No Key Needed.